Hotpoint dishwasher displaying an error or flashing LED lights? Hotpoint dishwashers have built in diagnostic systems. If your dishwasher finds, sees, or detects a fault or error in the system, the LED lights on the panel will display in a certain sequence to identify the specific error or fault code. The F01, F02, F03, F04, F06, F07, F08, F09, F10, F11, F12, or F13 error code will tell you which parts on your Hotpoint dishwasher to replace or check. You will either have a Hotpoint dishwasher that displays actual numbers or has LED lights to indicate and identify the error. Use the list below or get advice from your Hotpoint dishwasher owners manual when your Hotpoint dishwasher has flashing lights, constantly lit lights, or LED lights are lit in a certain order. Some Hotpoint dishwashers do not have an LCD display to display error codes in number form. On some Hotpoint dishwashers the LED lights stay lit to notify you there is an error. Use the list below to find out what your dishwasher is telling you by which LED lights are lit or flashing. 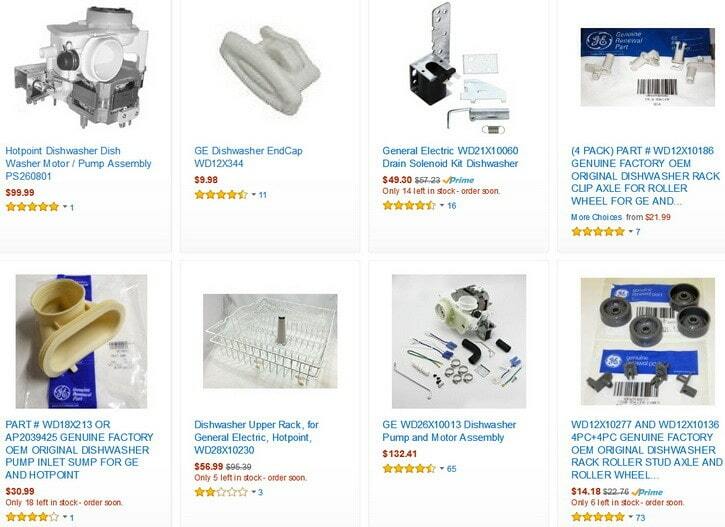 Need replacement parts for your Hotpoint Dishwasher? Here are hundreds of OEM parts! Check float switch or drain system. Check water fill valve/solenoid with meter. Check that the drain pipe has no blockages. Check all sink plumbing for any blockages. Check that water supply is present and is proper pressure. Make sure valve is fully open. Be sure fill hose is not bent or clogged. Check water turbine for proper operation. Check board or reset machine by unplugging for 2 minutes. Check main board and wiring. The LED panels below show clearly how faults are understood. NUMERICAL DIGIT and LCD interfaces are not included in the images below. When faults are shown using the LED lights, the lights will remain lit or off. Other LED lights on the machine may blink. Get advice from your Hotpoint dishwasher owners manual when your Hotpoint dishwasher has flashing lights, constantly lit lights, or LED lights are lit in a certain order. 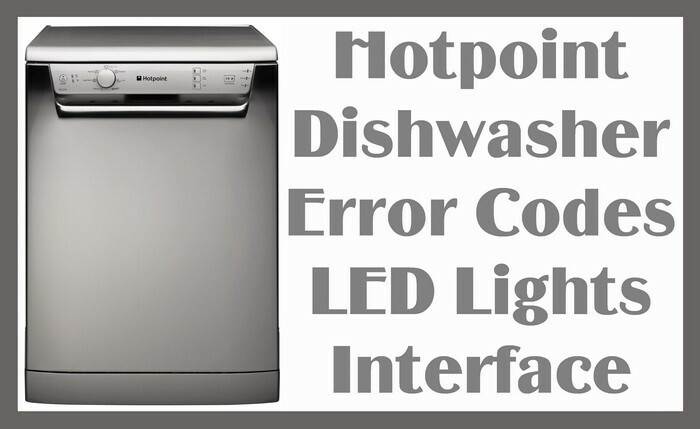 If you have other questions or comments about Hotpoint dishwasher error codes, LED light sequences, what the different lights mean, or what part you need to fix your dishwasher, please leave a comment below. I have a Hotpoint Aquarius FDL 570 Dishwasher. When I turn it on, it pumps out first, then it starts filling . Then it pumps out again, and as it starts to do so, the on/off, wash and end lights flash. Any ideas?